Croatia surprised us in so many ways. We knew to expect good things because virtually everyone who’s ever visited has had only good things to say. But that still didn’t prepare us for what may very well be the most beautiful country we’ve ever visited. We spent a total of four weeks in Croatia, traveling from the southern tip of Dubrovnik to the northern reaches of Istria. We ferried to a few of its more than one thousand islands and traveled overland from its western shores to as far east as its capital city Zagreb. Along the way we discovered some of the most remarkable and well preserved medieval old towns we’ve seen anywhere. And not just one or two, but scores of them. Croatia has coastal walled cities and inland walled cities and island walled cities, too. Every one is set against a scenic backdrop of dramatically rippling mountains that tumble into a sea so beautifully blue you’d swear it’s been Photoshopped. But none of that is what surprised us most about Croatia. I guess it probably goes to show that even after all these years on the road we’re still U.S. travelers at heart. Because for most Americans Croatia flies well below the radar as a travel destination. That was certainly true for us. We’ve been going to Europe for 20 years and somehow in all that time Croatia never came up for consideration. The only reason we visited this year is because our original plan had us traveling overland northward from Greece, which was our primary destination. Croatia just happened to be along the way. And like most other Americans who had never traveled there, we assumed Croatia was a bit off the beaten path; maybe even a little exotic. As a “developing” country, we took for granted that getting around would be more challenging there than it is in Western Europe. And we fully expected to struggle to speak with people in Croatian or even comprehend things written in the traditional Gaj’s Latin alphabet. With all of these assumed challenges it’s no wonder why Croatia isn’t a place most Americans consider for their first European trip, or even their tenth. It’s not a destination we’d have recommended to first-time travelers either, for those very reasons. 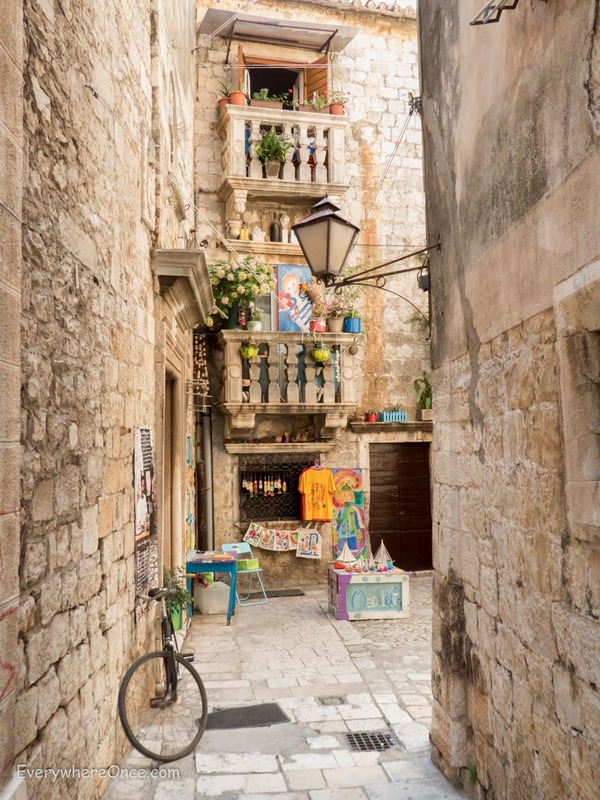 So imagine our surprise when we discovered that traveling in Croatia is as easy as almost anywhere else in Europe; easier, even, than traveling in Spain. We had no problems getting ourselves around on their simple-to-use ferry and bus systems. When we drove we did so on excellent roads. And nearly everywhere along the way we encountered people fluent in English. Traveling in Croatia couldn’t have been easier. And that, it turns out, is because Croatia is an absolutely huge tourist destination with an incredibly robust tourism infrastructure. We had no idea so many people travel to Croatia. We were shocked to learn that this little country, roughly the size of West Virginia, is the 24th most popular destination in the world. More people visit Croatia in a given year than go to Ireland. 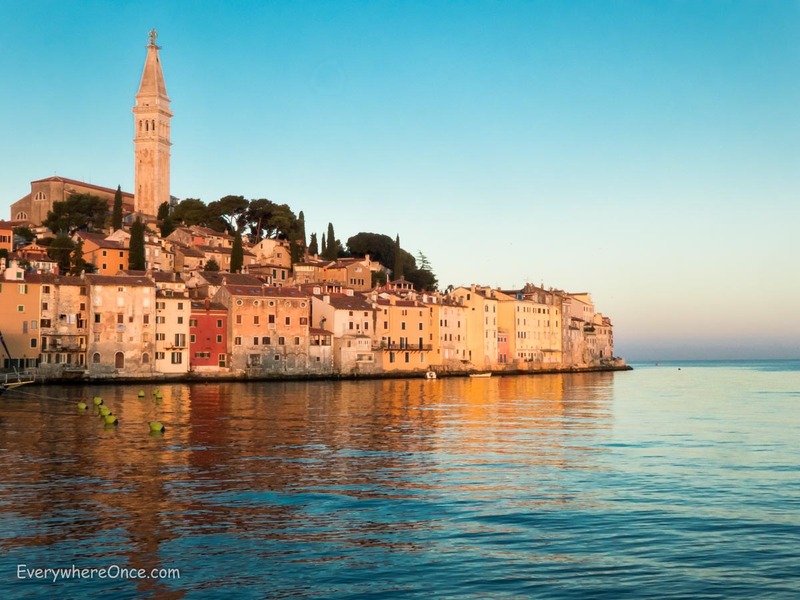 But because nearly 90% of those visitors come from elsewhere in Europe, the country remains mostly a mystery to American travelers, many of whom wrongly assume that Croatia is an off-the-beaten path destination. And that was probably our biggest surprise. Croatia has definitely been found. Just not by many people from the U.S.
After spending a month in Croatia this year, these American travelers couldn’t recommend it more highly. It is without a doubt one of the most beautiful and remarkable places we’ve ever visited. And because it is also one of the easier places we’ve traveled, we wouldn’t hesitate to extend that recommendation to first-time foreign travelers as well. I’ve been wanting to go there for years! I’m so glad to hear this! You may check out my blog (www.getawayescapades.wordpress.com/category/croatia/) or send me a message for any recommendation about Croatia. What a great read!! Thank you for that. We’ve started to hear more about Croatia, especially from younger folks (although some of our retired friends have been there as well). How was reliable was the internet? Does it make a decent “digital nomad” destination? We were streaming Netflix all through Croatia (you’ll need a good VPN for TV streaming in Croatia and most everywhere else in Europe too, though). So we’d say it was reliable enough to do whatever you wanted to do. Another great thing about Croatia for nomads of any kind is that it isn’t part of Europe’s Schengen Visa zone, at least not yet. With our U.S. passport we got a 90 day stamp that didn’t count against the 90 days we’re allowed in most of the rest of Europe. Pretty sweet. 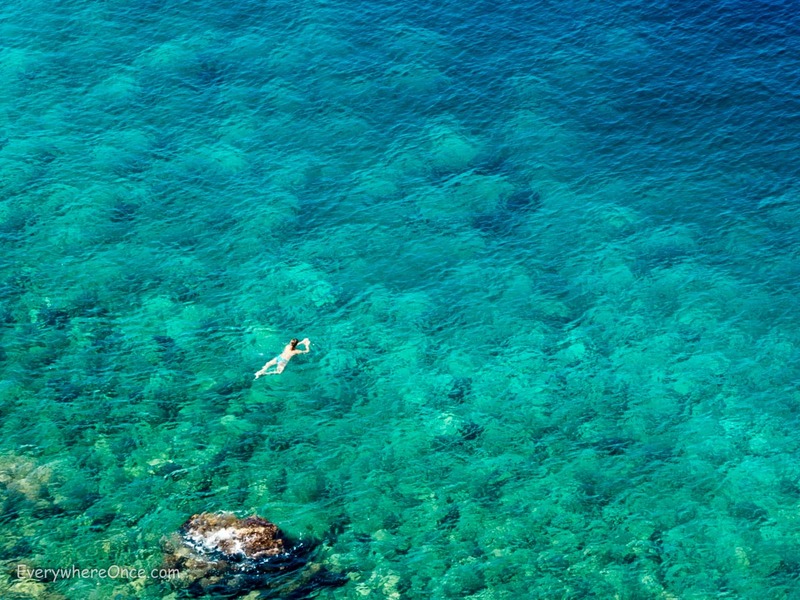 Croatia is one of our all-time favorites. Dubrovnik was truly magical. It’s a definite must on anyone’s bucket list. Croatia is a gorgeous country. Dubrovnik is unmistakable, Split is fascinating, Plitvice Lakes National Park is one of Europe’s best, and Zagreb is a great, under-visited capital. Can’t wait to go back! Wow, what an awesome traveling experience. How much money did you spend for this adventure? I hope to other interesting post, hope you will experience some great places in Asia, too. Did you go to Kvarner? In your month stay in this wonderful country, you must not miss it. How did it go? Very nice post . Great work . I am planning a trip to Croatia next May but unsure of where to base myself. I do not want to drive but still want to see a lot of the country. Would you recommend Dubrovnik with daily excursions from that city to surrounding areas? Or would a coastal resort be better with daily trips into Dubrovnik as well as the hinterland? Your article has convinced me I’m making a good choice in Croatia, a country I’ve never visited. Thanks for that. I think it all depends on what you want to see and how long of a trip you’re planning. None of the major tourist towns we visited in Croatia are very big and most can be explored, at least superficially, in a day. That makes it possible to base in one spot and do a bunch of day trips. From Dubrovnik you can day trip to the Bay of Kotor in Montenegro, Mostar in Bosnia, and the Croatian island of Korcula. Some of those trips would make for long days, but I think all are do-able. Dubrovnik also has a handful of things that most day-trippers don’t get a chance to explore so spending a bit more time in that area might be worthwhile. Another alternative is to start in Dubrovnik and head north using public transportation. From Dubrovnik you can bus/ferry to Korcula, ferry to some of the other islands on route to Split. From there it’s possible (although not convenient) to take a bus to Plitvice Lakes National Park. You can then bus up to the vastly underrated capital city of Zagreb for a flight home. For an easier trip without a car you can bus directly to Zagreb and maybe sign on for a day tour of Plitvice from there. Lots of options. Lots to see. Whatever you choose you won’t be disappointed. Croatia is stunning and rightly so gaining its place as one of the most beautiful countries in the world. I would recommend staying in Makarska actually if you go in the summer. This is a stunning beachside town. that way you a few hours from Dubrovnik and an hour from Split and Trogir(both UNESCO World Heritage sites). From Split you must catch the ferries to the islands including Brac island(town of Pucisca where the stone that built the White House supposedly comes from & also town of Bol and the Golden Horn beach which is one of Europes best). from here the island of Hvar is a must. Doing a day trip to Vis and the Bisevo caves and the Blue Cave is a must. If you have a little more time some hidden pearls are Sibenik and the waterfall park Krka. The island Murter and the Kornati archipilego and if you head North the island of Losinj and the towns of Rovinj and Porec. Croatia just has too much to see. I have now visited three times from Australia in recent years. Interesting. Croatia just came up in conversation as an option for us next summer. Your post has definitely put it in the running!